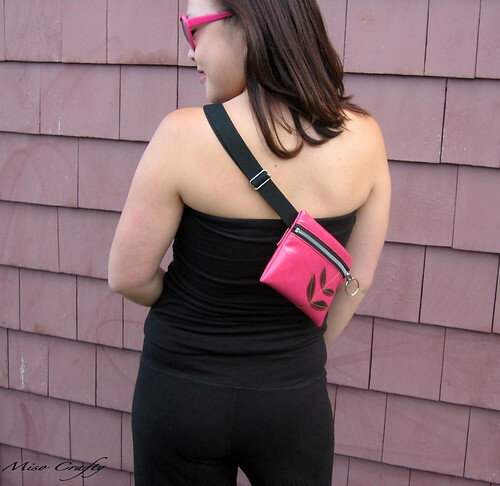 Miso Crafty Knits: Hip Holster = Mine! 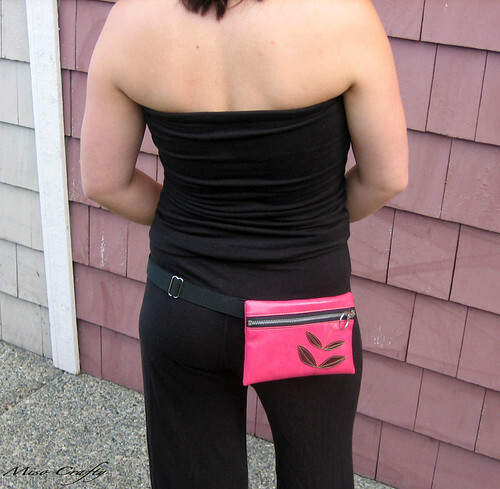 Remember this post about the Queen Bee hip holsters? I seriously thought that the idea of owning one was never going to happen and that I should just banish the hope of ever possessing one. Well, not any more!! Yep, that's right. I have, in my hot little hands, a QB hip holster! All thanks to the fabulous Mary from my knitting group! Thank you, thank you, thank you Mary! I should also thank Jen as well, who I think told Mary about my desire to own one of these hip holsters? So thank you ladies! I owe you guys big! Mary had attended the Sock Summit in Portland last weekend (lucky duck!) and was able to take a detour over to the Queen Bee headquarters at The Hive. Unfortunately the place had been ravaged and there was only a few designs left to choose from. Well, Mary choose very wisely! She knew well enough to know that if it's pink, I'm all for it, pants down! 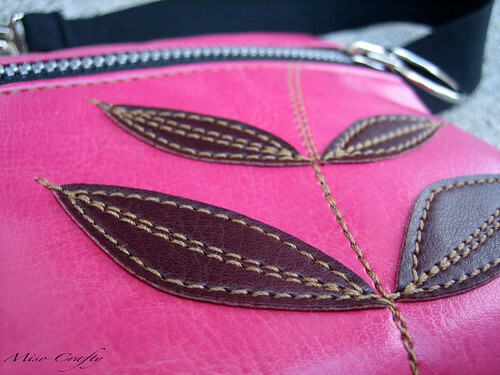 Even better still, the design is pink with chocolate brown accents. One of my all time favorite color combos! And if truth be told, the photos on the QB website really didn't do this hip holster any justice. Or maybe it's just my monitor...either way, I'm one really happy camper! Oh aren't you a snappy dresser! Loved the photos! I'm glad I can help out and yes, you have to thank Jen for mentioning to me in the first place! Glad you love it and that was actually there for me to purchase! Apparently they sell out as fast as they can make them! I'm happy to know that they sell out faster than they can make them! Now I can tell Brett that I'm not the only one wearing HIP HOLSTERS (he still insists on calling them fanny packs!). Did you know they apparently had a vendor booth set up at Sock Summit? If I had known beforehand, I would've told you and maybe save you the time from having to go to their HQ.